One of the hottest trends in Pacific Northwest wine country is dry, pink wines, a category that only seems to grow annually and shows no sign of slowing down. 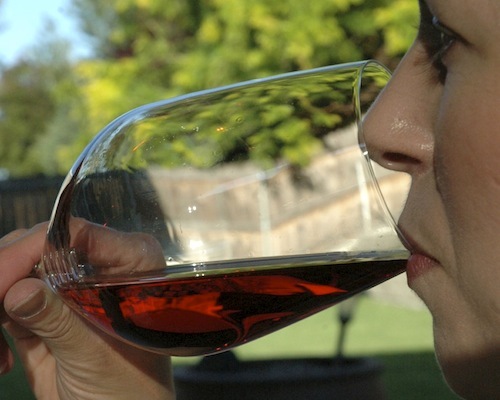 Indeed, across our region, it is easy to find more than 100 examples of pink wines being made in all styles. Fortunately, most are made in the dry style typical of southern France’s Provence region, rather than the pink, sweet California Kool-Aid style that too often was passed off as domestic blush the past couple of decades. Rosés offer the best of both worlds: appealing to red and white wine lovers, and typically pairing well with regional cuisine, from fresh seafood to Asian and other International-inspired dishes. This time of year, it’s a good idea to keep a couple of bottles of pink in your fridge, ready to come out whenever dinner hits the table. Here are a few rosés from the Pacific Northwest we have tasted recently. Ask for them at your favorite wine merchant, or contact the wineries directly. Waterbrook winemaker John Freeman and his team are tasked with producing more than a dozen wines for Precept CEO Andrew Browne’s pet project in Walla Walla, and this work off Canyon Vineyard Ranch near Prosser, Wash., ranks as one of the largest bottlings of rosé from Grenache produced in the state. 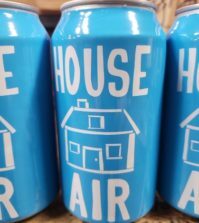 It carries a light pink wardrobe and offers fun aromas of cotton candy, fruit salad and dried strawberry. Inside, it’s quite serious with flavors starting with golden raspberry, white peach and apricot on the way to a food-friendly orange pith finish. The U.S. thirst for rosé sparked Browne to double the production of this over the 2016 vintage. Idaho’s winter-damaged vintage of 2017 forced Snake River Valley vintner Gregg Alger of Huston Vineyards to reach into Washington for the grapes to appease the fans of his wildly successful Chicken Dinner brand. Here, he leans on robust Rhône variety Mourvèdre. Bold aromas of strawberry, cherry, fresh raspberry and rose petals leap from the glass to entice the first sip, which delivers a dry version of the aromas listed. It’s a wonderful juxtaposition where the nose shows bold, ripe fruit, hinting at sweet nectar, but instead it’s dry and offers the perfect balance for a second glass. 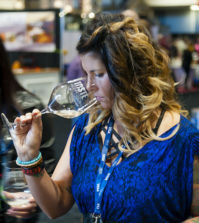 Judges at the 2018 Cascadia International Wine Competition awarded it a gold medal. Best Buy! One of the rising stars of the Oregon wine industry, Sarah Cabot continues to elevate the program at Primarius through her work near the base of the Dundee Hills for Seattle-based Precept Wine. Hers is a Pinot Noir house, and this marks the second straight year for rosé production. Enticing aromas of strawberry-rhubarb compote, Circus Peanut candy and dusty rose petal leads to bone-dry flavors of pink strawberry and pink raspberry with a blood orange finish. Enjoy with poultry, grilled pork or salmon. Best Buy! Victor Palencia has a well-earned reputation as one of the top rosé winemakers in Washington state. This rosé of Syrah reveals vivid aromas and flavors of Bing cherry, cranberries, dried strawberries, blood orange and raspberries. It’s beautifully balanced. This earned a double gold medal and best rosé at the 2017 Wenatchee Wine and Food Festival Wine Competition. One of Oregon’s iconic Pinot Noir producers proves that a classic rosé made in the Pacific Northwest deserves to be cellared and enjoyed beyond the year after it was released. (In this case, our panel evaluated it in May 2018.) The light salmon color hints at Provence, and the profile is one of bright citrus fruits, touching on clementine and dusty tangerine alongside orange Creamsicle and pinkish watermelon. Its texture is fascinating, while the acidity is refreshing and ideal for a wide variety of food applications. And the DSGC enclosure — Domaine Serene Guaranteed Cork — provides additional safeguarding for their 2014 vintage wines and going forward. The X edition of “r” was released in spring 2018, but there will be no disappointment if spotting this on a restaurant wine list, offered by a well-versed wine merchant or found tucked away in a cellar. John Bigelow has been operating JM Cellars in Woodinville longer than all but a handful of wineries, and his vineyard sources throughout the Columbia Valley — some estate, others under long-term contracts — are impeccable. 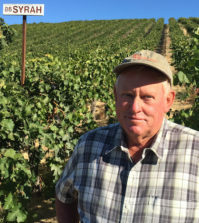 In this case, he continues to pull his Provence-inspired rosé of Cinsaut from The Benches, a site overlooking the Columbia River that Long Shadows Vintners helped make famous when it was known as Wallula Gap Vineyard. The clean and inviting nose of Montmorency cherry, white peach and cotton candy leads to brisk flavors of strawberry-rhubarb cobbler, Asian pear and dried cherry. A hint of bubble gum in the back adds to the fun, yet the pulse of refreshing acidity in the finish leaves it quite serious. 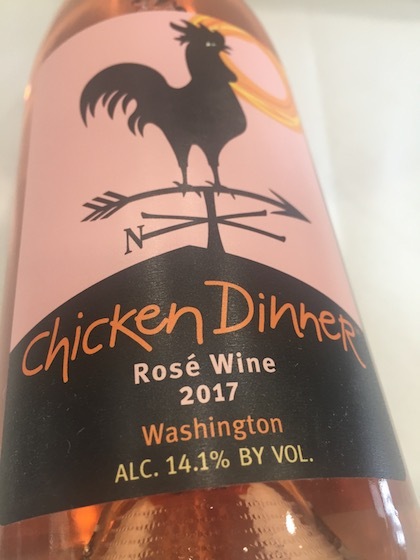 This superb pinkish blend grown and produced near Lake Chelan includes Pinot Gris (60%) and Gewürztraminer (20%) from the White family’s Columbia River estate along with Viognier from acclaimed Antoine Creek Vineyard just upstream. The result is aromas of sweet strawberry sorbet and fresh roses, followed by flavors of light strawberry and fresh rose petals. It’s a gorgeous wine that isn’t overly sweet and is fascinating to drink. This won a double gold at the Seattle Wine Awards and a double gold and best of class at the 2017 Wenatchee Wine Competition on its way to a Double Platinum at the 18th annual Platinum Judging for Wine Press Northwest magazine. 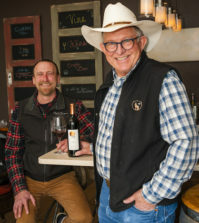 This vintage marked the second at Gran Moraine for worldly winemaker Shane Moore, an Idaho native who graduated from Washington State University’s winemaking program. His résumé-building experience in Australia and Israel, and his time in Sonoma working with Pinot Noir for Jackson Family Wines, made him an ideal pick to work in Oregon with former Russian River Valley vintner Eugenia Keegan. The selection of clones 114, 777 and 828 off the Gran Moraine and Estate vineyards shows immediately in the pale appearance reminiscent of Provence because none of those clone are known for color extraction. Delicate yet bright aromas of strawberry-rhubarb compote, Craisins and Montmorency cherry lead to a lovely mouth feel with flavors to match, capped by long flavors of white peach and red currant. Best Buy! The Magnificent Wine Company is well into its second decade, and while the House Wine series is the most recognized part of its history, Precept has begun to produce wines under this new MWC tier. A wide variety of red and white grapes contribute to the end product, but Syrah leads the way and builds the pink raspberry color. Aromas of plum, blueberry, gooseberry and strawberry leaf lead to flavors dominated by plum and strawberry, backed by a nibble of blueberry skin to deal with its off-dry nature. Look for it at grocers such as Albertsons and Safeway, and serve it nicely chilled on the patio.